I've already covered strategies for the civilizations that have been added or explicitly changed in the Brave New World expansion and its major fall (2013) patch. Now I'm going to move on to other legacy civilizations that have not had explicit changes, but who may have had their strategies significantly altered by the expansions and other updates. The first such civilization that I am going to tackle is one that has been requested from readers on at least several occasions. So, by popular request, here is a strategy for Sultan Suleiman's Ottoman Empire. The rise of the Ottoman empire coincided with the fall of the Byzantine empire that started in the late thirteenth century. Turkish immigrants lead by Osman I took control of a region of Anatolia and Osman declared himself the first Sultan of a new Islamic empire. The fledgling empire quickly began a cycle of conflicts with the Byzantine empire that culminated in the capture of Constantinople, which the Ottomans renamed Istanbul and made their imperial capital. With control of the valuable ports of Istanbul that linked the Mediterranean with the Black Sea, the Ottoman empire rapidly became a dominant force in the Middle East and Europe. 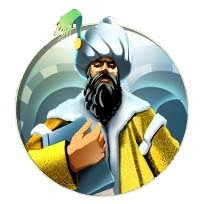 Sultan Suleiman The Magnificent ruled the Ottoman empire during the height of its power in the sixteenth century. His fleets dominated the seas of the Mediterranean - and extended its influence all the way to India and Indonesia - thanks in part to the successes of Hayreddin Barbarossa, who captured numerous ships on his way to becoming the Ottoman fleet admiral. In addition to military successes, Suleiman also personally initiated a series of sweeping social and legal reforms that contributed to the flourishing of the Ottoman arts and economy. The Ottoman Empire would eventually become one of the most significant casualties of World War I. The empire was already starting to succumb to the stresses of internal strife and a weakening economy. Their defeat in World War I basically dissolved the Ottoman empire, and what was left of its holdings became the modern nation of Turkey. 'Civilization V' strategy: All your tile are belong to U.S. 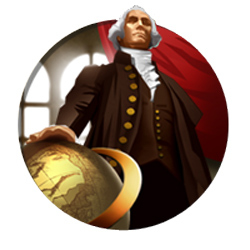 Continuing my series of strategy posts about Brave New World's modified civilizations, I'm going to take a look at strategies for George Washington's America. Since Brave New World's Fall patch (2013) America's ability was buffed and its unique unit now allows it to generate more late-game golden ages. The lands of North America have been occupied by various native tribes for thousands of years, but these tribes lived in relative isolation from the rest of the world, except (possibly) for a brief period of interaction with the Danish Vikings. After Christopher Columbus landed in Haiti in the late 15th century, a flurry of explorers and colonists primarily from Britain, France, Spain, and the Netherlands began arriving in North America, rapidly exploring and settling the continent. These colonists gradually displaced the native inhabitants, including the Iroquois and the Shoshone. But conflict between the colonies and their European masters (primarily Britain) eventually culminated in a revolutionary war in which the colonists retreated to the countryside, and used guerrilla tactics to defeat the British and establish the United States of America. Despite being founded on the principles of "equality" and "inalienable rights", the early history of the United States is dominated by tension between its slave-holding and free populations. These tensions eventually culminated in the outbreak of the American Civil War, which resulted in more American casualties than the Revolutionary War, both World Wars, and the Vietnam War. Combined. Union victory established America as a modern industrial nation with a singular identity, and Americans stopped referring to the country as "These United States", and began calling it "The United States". This war is also significant in world history because it is the first major war in which industrial technologies such as the machine gun, telegraph, railroad, steam-powered ironclad ships, and (probably most significantly) photography were used to large effect, which changed the way that future wars would be fought and the way that they would be perceived by the public. And it was one of the first major wars to employ new urban fighting tactics that would become the basis of combat for the wars of the 20th century. America would play a pivotal role in those 20th century wars as well, and would emerge from them as a dominant global super power. George Washington was a colonial general who lead the British colonies in America in wars against the French and various Native American tribes. When the colonies declared independence, Washington became one of the premiere generals for the new colonial militia. Knowing that they could not defeat the British in conflict in the cities or open field, Washington and the other colonial leaders gave the cities to the British and retreated to the hills and forests of the countryside. Here, they successfully employed large-scale guerrilla tactics that weakened the British supply lines and culminated in American victory. Washington would then become the country's first President and set several precedents, such as the idea that the President would be a civilian position (as he refused to wear his military uniform while in office), and that the President should step down after two terms. Continuing my series of strategy posts about Brave New World's modified civilizations, I'm going to take a look at strategies for Oda Nobunaga's Japan. Since Brave New World's Fall patch Japan was given additional buffs towards culture and coastal starts. Japan is a series of four large island and numerous smaller islands that were formed by volcanoes. It has been inhabited since the upper paleolithic era (about 30 thousand years ago), and its people have lived in relative isolation for much of its history. It has gone through periods of war with its closest neighbors across the sea: China and Korea, and has had significant cultural influences from both, such native Shinto's two competing religions: Buddhism and Confucianism. Throughout most of Japanese history, the country has been in a feudal state, with regional populations being loyal to a warlord who is granted land and titles from the emperor (or "Shogun"). In-fighting between warlords was common, and power often ebbed and flowed between different clans and families. 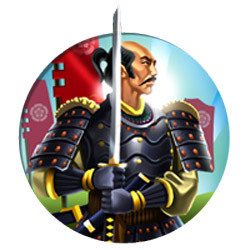 Samurai Daimyo Oda Nobunaga helped Ashikaga Yoshiaki to reclaim the title of Shogun for his clan in 1568, and Nobunaga used the leader as a puppet to enable his own conquests. He was a brutal warrior who once set fire to an enemy complex, killing tens of thousands of civilian non-combatants (including women and children) in order to put down a rebellion of farmers and monks. He eventually attained military control of more than half of the territories of Japan on behalf of the Shogun. His successor, Hashiba Hideyoshi, would complete the unification of Japan 11 years after political and personal tensions lead to Nobunaga's assassination by a vassal clan. In the 19th century, Japan's isolation finally ended and it began the process of rapidly modernizing. By the 1930's, Japan had developed into a modern military-industrial machine that was almost the technological equivalent of the United States and European powers. It became the dominant power in the Pacific prior to being defeated by the United States in the second half of World War II. Continuing my series of strategy posts about Brave New World's modified civilizations, I'm going to take a look at strategies for Bismarck's well-rounded Germany. Since Brave New World's fall patch, Germany's unique Landsknecht has been replaced with a Hanse (bank replacement) that makes Germany into a more well-rounded civ rather than being exclusively military-focused. The region of Germany has been the site of some of the most violent and destructive wars in the history of the world. It was given its name by Julius Caesar, who called the region east of the Rhine "Germania" to differentiate it from Gaul, which he had already subjugated. The region was populated by tribes of Germanic people who were often labeled as barbarians by the Romans who were never able to fully annex the territory. Most of German lands were controlled by the Franks such as Charlemagne following the fall of the Roman Empire, and they would not be united into their own sovereign nation until Otto I would become the first emperor of the Holy Roman Empire in 962 C.E.. When Martin Luther founded the schism religion of Protestantism, the Holy Roman Empire descended into the Thirty Years War, in which the northern Protestants fought for their autonomy against the southern Catholics. Following the war, the lands of Germany were broken up into multiple nation states such as Prussia and Saxony. In the aftermath of the Napoleonic Wars, a series of social and industrial revolutions drove Prussia into becoming a leading educational and cultural states in Europe, and its Chancellor Otto von Bismarck effectively established the modern Germany in 1871. The German economy grew over the next few decades, but it was defeated in World War I, forced to pay reparations, its leadership was replaced with an unstable republic, and its economy completely crashed. All this lead to a takeover by the National Socialists (Nazis) who rapidly rebuilt Germany's economy and industry and turned it into a war machine that struck with greater speed and efficiency than the world had ever seen. Despite all the bitter bloodshed, a democratic Germany has emerged from the chaos as one of the strongest economies in Europe and is a worldwide leader in technological, scientific, and cultural development (and humor). Otto Eduard Leopold, Prince of Bismarck, Duke of Lauenburg is known more simply as Otto von Bismarck. 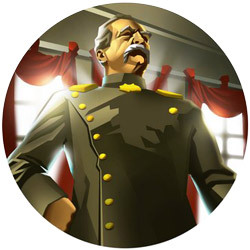 He is responsible for uniting the fractured states of Germany into a modern, unified German nation through the use of an efficient military and shrewd diplomacy. He was known to have a violent temper, but was a brilliant statesman and diplomat nonetheless. He became famous for using balance of power strategies to maintain peace in Europe while also furthering his goals as the political leader of Germany. Though he was staunch conservative autocrat, he did pass a series of social reforms that improved the quality of life for Germans. This, combined with his strong leadership, made him beloved by the German people. He was eventually unseated by Kaiser Wilhelm II, whose aggressive expansionist policies are often credited with leading to World War I. 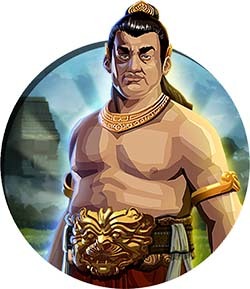 Continuing my series of Civilization V strategies, the third installation will cover Gajah Mada and his Indonesian "spice islands". Indonesia is an Oceanic island nation between the Indian and Pacific oceans, north of Australia. Archaeological evidence shows that the region was inhabited by Homo Erectus, and that its primitive human occupants developed relatively advanced maritime technology, allowing them to sail across the ocean between the various islands of the Australian region as early as 42,000 years ago. Its early inhabitants took advantage of the tropical conditions to create flourishing agricultural communities and became masters of wet-field rice cultivation, as well as becoming traders and fishermen. Much of the history of Indonesia has been shaped by maritime trade. Hinduism and Buddhism arrived in Indonesia around the seventh century through trade with India, and the Indonesian people welcomed these faiths with open arms and dedicated numerous temples (called "Candi") to the gods these religions brought with them. Islamic influences began around the thirteenth century in trade missions from the Middle East, and large portions of regional populations converted to this new religion. In the sixteenth century, Portuguese explorers brought Christianity to the islands. For the most part, the various religions in Indonesia intermixed and co-existed in relative peace and harmony. Portuguese traders quickly monopolized the trade of Indonesia's native nutmeg, cloves, and cubeb pepper. The Dutch arrived soon after and established their East India Company in the region and held tenuous control over the region until the Japanese occupation leading up to World War II. Following the war, bloody struggles for control of the nation resulted in hundreds of thousands of deaths, but democracy began to supersede authoritarian rule in the early 2000's. The Republic of Indonesia is currently the world's fourth most populous country, is the 16th largest economy in the world by GDP, and currently has dominion over 17,508 islands of the Indonesian archipelago. Gajah Mada (the "Elephant General") was a mahapatih (or "prime minister") of the Majapahit Empire during the early fourteenth century who, according to myth, made a vow not to eat any spices until he had conquered all of the southeastern Asian archipelago and united it under the empire. Little is known of his early life, but he lead the empire to the height of its power during this time and presided over the arrival of the first Muslim traders. His legacy has made him a symbol of Indonesian national pride to this day. Success as the Indonesian Empire in Civilization V is partially determined by the player's ability to develop an intercontinental "island" empire, which grants access to the valuable nutmeg, clove, and pepper spices that dominated trade with Colonial European powers. Indonesia is also uniquely positioned in Civilization V to benefit greatly from possessing followers of multiple religions in its cities.